Something strange has happened for me regarding the Mandela effect. I've experienced a reversal of one of the previously reported changes. Yesterday while reading through the thread mentioned above, I noticed that The Berentain Bears has flip flopped again. Let me begin from the beginning. I distinctly remember Berenstain from my childhood, and I even owned the books. Fast forward to the early 2000s, I think it was 2003 to be exact, I was in my early 20s, and I was reminiscing about this childhood book and went online to search for it. I was shocked to see it spelled as Berenstein all over the internet. I couldn't find a single instance of it spelled Berenstain. I had a really hard time accepting this. All those "E"s in the name just did not look right, and the thought that I and numerous others had been pronouncing it wrong did not sit well. I thought I was losing mind. I eventually forgot about this and moved on with my life. Fast forward again to early 2016. I became aware of the Mandela Effect and began researching it. I was floored to discover that The Berenstein bears were one of the known effects. At this time the consensus was still that Berenstein was the correct and current spelling and Berenstain was the mis-recollected version. A minority of people remembered Berenstain and I was part that group. I was very surprised that I had noticed this 13 years earlier and tried to think back to 2003 to see if I had noticed any other anomalies back then but nothing came to mind. I also remember some people on various forums mocking those who remembered it as Berenstain because it sounded so absurd to them. I made a determination to put Berenstain out of my head and to accept that it was now Berenstein. Now imagine my surprise when yesterday I was perusing the thread "The Mandela Effect: What does it mean?? ", and discovered that the currently accepted version is now Berenstain. I feel like I'm losing my mind all over again! When the heck did this happen? I mean, I was obsessed with this particular Mandela effect back in 2003, and again in 2016 and I know without a shadow of a doubt what I saw, what I read, what I was thinking both those times, so what now?? None of the other effects seem to have changed back from what they were in 2016 that I've noticed, just Berenstain, but I haven't conducted a thorough investigation. Has anyone else had this experience or anything similar? Last edited by Kejaranhybrid; 15th April 2019 at 11:05. Very interesting. I was in the supermarket (here in Ecuador) a couple of days ago, and noticed a packet of FROOT LOOPS. (As it should be! ) This had been one of the frequently reported Mandela Effect anomalies, with 'FRUIT LOOPS' being the 'replacement' version. Froot loops? Ok, I am going to have to go shopping down the cereal aisle more often I could have SWORN they were FRUIT... Can you find the makers brand name too? I wonder if some of us are buying "Knockoff" cereal lol. Did it have the toucan on it? It is a toucan right? ok I looked.. WOW.. Bill, you're right! I never even noticed! I wonder how much of this is really nothing more than a lack of attention? On a side note for the "Giggle factor", I had no idea that there was FROOT LOOPS in my kitchen.. (The kids bought some for the grandbabies yesterday)..
Last edited by Diziblueyez; 15th April 2019 at 22:54. Jaws' girlfriend in Moonraker originally had big braces. Now she has no braces. But some joker photoshopped some small braces on a picture on youtube and people are now saying there are 2 versions out there. But no, in this timeline she never had braces and the actress herself said so. So an apparent reversal that isn't. Okay, now I'm a little confused. It used to be Fruit Loops, didn't it? This world is one messed up place. I am with you Valerie - it was originally Fruit Loops. The old commercials displayed fruit. Before the 2000's most commercial marketing was pretty rigid when it came to spelling. I can see the possibility of Kelloggs marketing changing "Fruit" to "Froot" maybe to be trendy? Fruit Loops were brought onto the market in 1963. As the population was concerned about a healthy breakfast, fruit was a big part of that. It would only make sense to advertise that you had real Fruit in the cereal. What would be the reason for them to spell it "Froot" back then? Would they want to say that there wasn't fruit in the cereal - that it was all chemicals? How would that have gone down in the 60's? IMHO, it would not have sold and it would not be here today. There are many Mandela Effects that if you apply logical thinking, some of the changed things seem to not make sense. However, if your memory is of the side that recalls FROOT LOOPS, then that is what you remember. Also, IMO, based on the things that have changed and the fact that there is only a percentage of the population with an altered perception and opinion, I believe that this was not a natural phenomenon. Yes, I remember 'FRUIT LOOPS' as the replacement version, and just did a google search... seems that it too has reverted back to FROOT LOOPS. I will have to check the supermarket later today just to confirm. Interesting indeed. I have a feeling that it wont stop there. I'll keep checking periodically for other reversals. Just for the record, I remember 4 people in JFK's car. The replacement version (this timeline) has 6 people. Let's see if that changes back to 4. It's always good to keep your own record, either hand-written or hand-drawn sketches. "Official" photographs are bound to change along with Mandela effect or reversal thereof. I must admit that the star on the USSR flag freaked me out, as well as the eagle on the pharaoh' head dress. Ernie, go shopping to have the pleasure to freak out lol. Last edited by Flash; 12th April 2019 at 23:21. No, it may have been called that on their papers, but it was marketed and sold as "Fruit Loops". I was born in 61. I had a child in 85. I know a Fruit Loop when I see one. Perhaps they changed the logo so they could use the cereal AS the logo (being two O's in FROOT? ) to match the two O's in LOOP? And maybe they do this back and forth just as a marketing ploy? Last edited by Diziblueyez; 13th April 2019 at 00:11. Hi Patient, I understand what you're saying about the logic behind the name. However there's logic to my recollection of Froot loops. I had moved to the US in my early teens, from growing up abroad, and attending a very strict British boarding school. I had a good upbringing albeit a little sheltered, but had access to some of the finer things in life. When I arrived in NYC, I felt so overwhelmed with all the stuff in the US, the number to TV stations, the constant bombardment of commercials, the endless options in the supermarkets, and especially the quality of food in the supermarkets...the amount of junk food available, and being pushed on kids, including cereals. It was sensory overload. Froot loops were just another in a sea of endless sugary cereals that in my opinion had no real nutritional value. I personally hated all that sugary stuff so I stayed away from it, including Froot Loops. I was very health conscious even as a young person. The name of it made perfect sense to me too, the playful spelling Froot, just confirmed for me that it wasn't a real food. Back in 2015/2016, when the Mandela Effect was a hot topic, Froot Loops had been replaced with Fruit Loops. But now it looks like it's back to being Froot Loops again. Go figure. There's definitely something going on. I have no idea what to think about the Mandela Effect, but I *did* notice a flip flop from "Jonny Quest" to "Johnny Quest", and back to "Jonny Quest" again. I remember being floored by seeing "Johnny" just within the last two years (on the Wikipedia page, the Google info blurb, youtube videos, merchandise, etc), and today after looking at this thread I see that it's "Jonny". Bizarre. I also remember "Fruit Loops" from the 80s. While Kellog's makes the product available on a number of different continents and possibly on different timelines with changed spelling of the trademarked name, never, in any of the places or timelines, was the actual fruit inside the product. It is just corn syrup or other cheap sugars, artificial coloring and fake fruit flavors. Has anyone ever noticed the spelling on this product? As far as my mind remembers, it has been spelled this way on every time line I've been on for the last four decades, but some people fail to notice the strange spelling and it seems like a Mandela effect item. Last edited by Kryztian; 13th April 2019 at 03:07. Yeah, I understand the lack of fruit in froot loops - I am referring to the marketing of the product. I recall commercials from when I was a kid - they showed fruit to represent the fruit flavours. 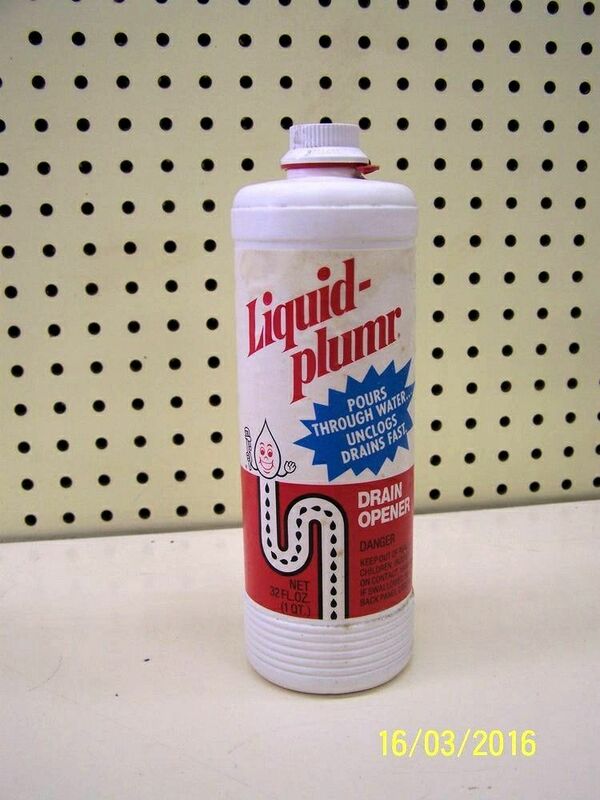 But I do not recall Liquid Plumr being one way or the other. Could there be residual affects form whatever it was that caused this in the first place? Maybe, I guess. Or is it being messed with again? Or is someone trying to correct things? Too many questions that will probably never be answered. Think about it - if someone came forward telling the truth about what happened, would it be believable? Why was only a portion of the population affected? DNA? Kejaranhybrid, I am seriously interested to know if things keep changing for you so I hope you keep posting in this thread. A lot of people choose to ignore things and just keep plodding along. It freaks me out that more people do not seem to care about what this is, or how/why it happened. Mostly, we see that material things are/have been affected. What if actual people disappeared? What about the Berenstein Bears? That title is based on the author's last name - so there was a complete name change. I have had a lot of paranormal experiences in my life. Still am, but lately it has not been so intrusive. But now I am sometimes wondering - when I leave a room (with 3 different lights on) and go back in a few minutes later and all of the lights are off is it paranormal or is it a subtle timeline shift? As Kejaranhybrid is seeing things change back and forth is this happening in subtle ways here and there? Sometimes things disappear and reappear. For example, sitting on the bed watching TV and the remote is gone - gone, and we have not left the bed. We can look through the entire sheets and it will not be there. I say to my spouse, "Just forget it - lets leave the room and when we come back it will be there." And yes, 3 minutes later and the remote is sitting on the bed. Yeah WTH. Perhaps it is timelines that are so close together they are interwoven. I wish I could go to the store with you Ernie - 'cause I know you are going to see Froot Loops! But what if what you see is not what I would see if I went there on my own? Hahaha, now we are really writing a Twilight Zone episode! Is the portion of people who are seeing things the same as each other due to an age grouping? I was also born in '61. Of course you must be old enough to remember certain things, but I wonder??? Anyone know if this has been researched?